I’ve mentioned the “5-20-5” concept before and the more I think about it the more I like it. 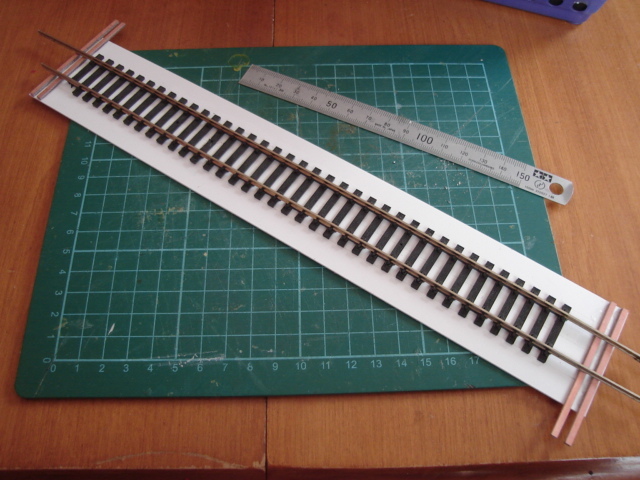 The idea itself refers to three distinct blocks of time totalling thirty minutes and representing an acheivable length of time to either build a model or operate your model railway. It’s based on things like the length of a typical television program or time we might otherwise spend surfing around on the internet and asked if this might be enough time to invest in this great hobby. We often complain that we simply don’t have the time to build a model or can’t imagine having enough time just sit down and run a train. The first block of time is about five minutes in length. Take five minutes, get out some tools and a model and get ready to work on it. Obviously building a dozen turnouts might be out of the question but you could probably install a switch machine in thirty minutes. 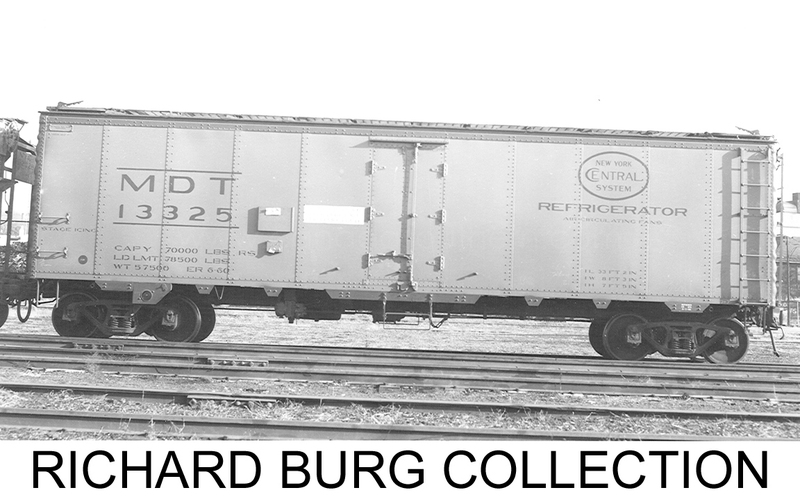 Maybe you have a freight car with a broken coupler or a car you painted but never got around to decalling. Get out that car and some basic tools because tonight is “that night”. If we’re operating a model railroad, then use this time to switch the layout on and decide what train we’re going to run. In the case of my micro layout I use this time to get the layout out of storage. I set it up where I’m going to operate it and clean the track. I’ll have a little time to stage some cars too. The next twenty minutes is playtime. We’re building a model or really enjoying running trains. Just like committing to a workplace project or a phone call we should be completely dedicated (devoted?) to the activity during this period. At the end of twenty minutes you’ll have a model to look back on and be impressed with. You ran a train. You switched some cars around in a freight yard and you’re smiling; heck this is a great hobby eh?! The final five minutes: time to clean up. We often underestimate how long clean-up takes but should be keeping in mind when planning the activity. Cleaning isn’t a chore, it’s setting ourselves up to be ready to work on the next project. We’ve only used up half an hour but what a great way to use this time. We invested it into model railroading and we reminded ourselves why we enjoy the hobby so much. I find that at the end of one of these sessions I’ve often thought of a similar project for “next time”. I really enjoy this discovered intertia. I think the 5-30-5 concept is worth considering when designing a new layout. I don’t have a dedicate workshop or model railway room yet so I do most of my model making at the kitchen table. My layouts are all designed to be stored between use. In the two layouts completed I’ve been thinking about how I can make my layouts really simple to set up and operate in the first five minutes during their construction. I think I’ve acheived that with the N scale Bush Terminals layout and am so energized by that layout’s success so far that I am proceeding with the HO version and looking forward to comparing how each layout evolves. ← O scale in four square feet?! What a great idea: plan, play, tidy up; make sure that play is (at least) twice as long as plan and tidy. It’s that last five minutes: if viewed as clearing up, it is a chore. If viewed as setting the scene ready for the next day, it is a bonus. I recently read a lovely idea (I think from Books Stover), which was to make sure you spend a few minutes in your hobby working area every day, even if it is something as simple as sweeping out the floor. Thanks for the kind words. The 5-20-5 is an idea I have become a huge fan of. I first read about it on the RMWeb forums and from the gentleman who built the excellent Kyle in a Boxfile layout. It probably sounds silly, but I had a real awakening when I read it and I have been trying to adopt it and am proud of just how much I’ve adopted one little bit of time at a time. That last five minutes. It is for clean-up and tear down but you’ve really identified what it’s really for: preparing for the next period. It’s a time to reflect on the good and bad from the preceding twenty-five minutes and a place to build up an idea for what to tackle next. Viewed in the right way, it should be just as exciting as the preceding twenty-five since you’re actually getting ready to have fun again! I agree also with the idea of Brooks’ and trying to be active in some capacity in the hobby every day. Sometimes when I haven’t touched a project in a while I start to lose sight of what actually needs to happen next and it’s all too easy to get overwhelmed and never revisit the project. I’d hate to think of modellers leaving the hobby from that same experience. For the last several years I’ve not had a dedicated modelling space. This means that I have to beg, borrow, and often steal space and time from the family to build, detail and otherwise do anything model. Chris Mears on his Prince Street blog wrote about this back in 2013. It is a great article and I thought I’d share it with you here.